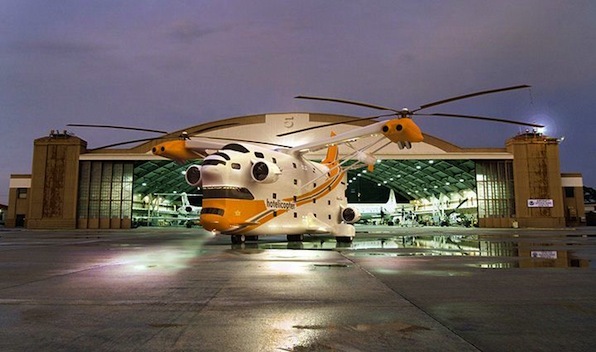 Modeled on the Soviet Mil V-12, the largest helicopter ever built, of which only two prototypes were built in the 1960s, the Hotelicopter company would like us to believe they purchased one of these prototypes in 2004 with the Hotelicopter now ready for its maiden flight in June 26th. We’re not sure that we do, but we like the concept. 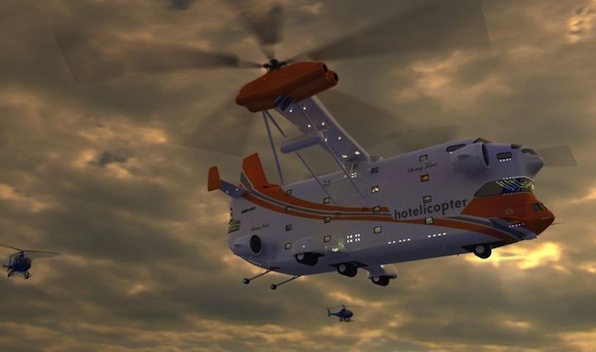 The design outlined at the Hotelicopter site includes soundproofed rooms, each boasting a queen-sized bed, fine linens, a mini-bar, coffee machine, wireless internet access, and all the luxurious appointments you’d expect from a flying five star hotel – there’s even the promise of room service. Gone are the days when research was done flipping the hard copy of every book ‘with a touch’. This has drastically changed with the dawn of technology. In a new study, it has been revealed that technology is killing traditional face-to-face conversation. This is very true when we think of the ways we exist today. Almost all forms of communication are done using mobiles, Internet browsing, chatting online, text messaging and emailing, which take away the time we used to spend with the family. The conventional conversation seems to be out of our priorities. Besides, social networking sites and chat rooms are also to be blamed for the words which are misspelled these days. We tend to type words in short in a hurry and that becomes habitual. There’s a general attitude that correcting mistakes aren’t called for in web chat rooms. Unconventional spellings are accepted as it is faster to type them and this has become a norm. In contrast, earlier the handwriting and dictation were quite factually highlighted even in writing a simple letter. Yes! 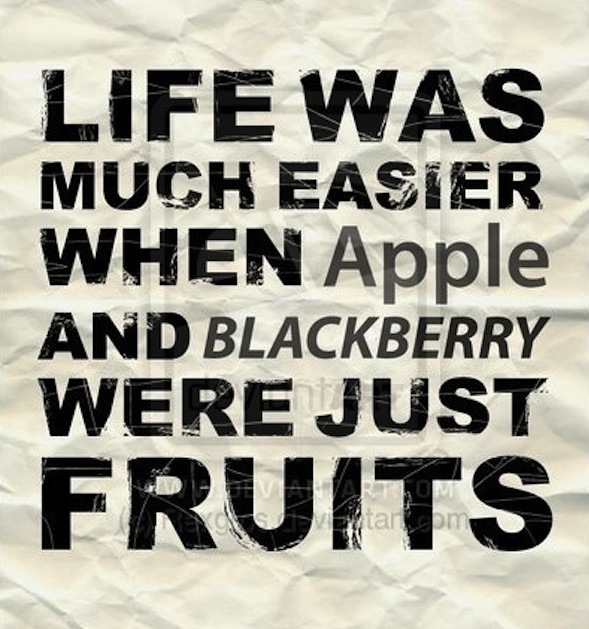 Life indeed is much easier with the `Blackberries` and the `Apples`, but these sure haven’t made our life more peaceful. 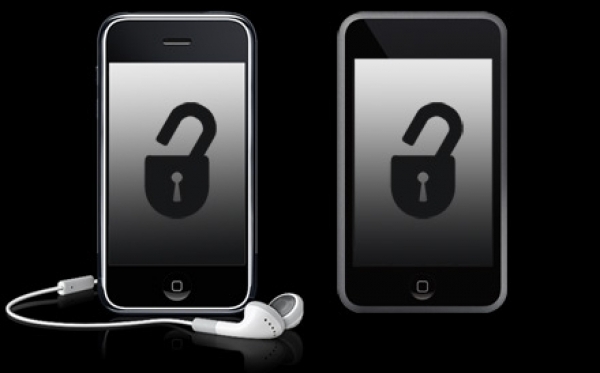 Apple makers of Ipad has given a job to the hacker responsible for cracking, or jailbreaking, recent versions of its iOS mobile operating system. The hacker, who goes by the handle “Comex” but whose real name is Nicholas Allegra, has accepted an internship at Apple, and also announced that he will not be publicly releasing jailbreaks for future versions of the iOS. During an interview with members of the public on link-sharing site Reddit, Comex admitted that he may still hack his own iPhone. 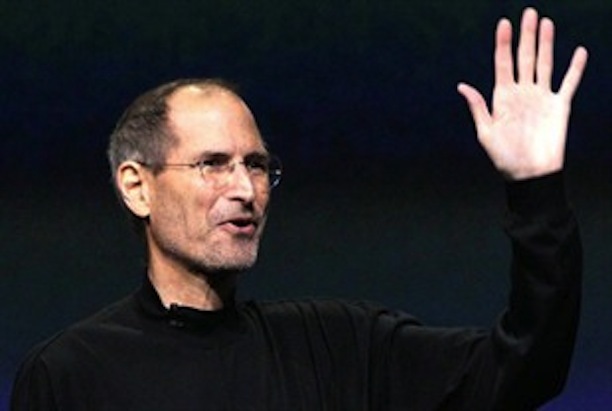 Allegra also revealed some trepidation about entering the corporate world, and suggested that his tenure at Apple may be temporary. What you probably might think as child’s play, but there’s a surprising amount of history behind paper airplanes. How to fold the world’s longest flying paper plane. Even today, with the benefit of modern aerodynamics, physics, and materials, the creation of a good paper airplane is still as much art as it is science. Grab a stack of 8.5″ x 11″ paper, find a clean, flat surface, and get ready to fold. Here are five of our favorite flying wonders. The Author of this plane (he floated in Guinness record 27 seconds) is Ken Blackburn. in his book he states that he did not invent the plane. He tried several classic designs and choose this one. Although Blackburn’s record has been surpassed, the design is still superb, and it’s surprisingly easy to make. Perhaps you can out fly him. The computer generated Concept iPhone 5 features is an exponential leap to the iPhone 4 or iPhone 3gs of today. Why is everyone goin all crazy over this CONCEPT ?! .. dont you people understand what concept means ? If the technology exists.. it would be too expensive. If it exists with a reasonable price.. it would need a nuclear battery to run it for 2 hours, and speaking o which ,, where is the battery ?! I love how people believe that a hologram can be projected onto nothing. Thin air. Zip. Zero. Zilch. I don’t work like that. Besides, the thing is so thin if you drop it even once its gonna shatter. Nice video effects but I don’t think the iPhone 5 will have these capabilities. I don’t think holographics like this will become a reality in the near future. I think the keyboard concept might not be too far in the future though as I have seen other experimental technology with this capability. 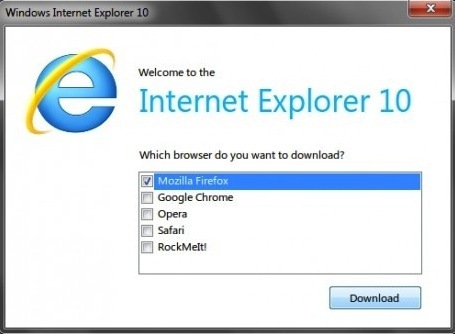 Please understand that the latest version of Internet Explorer which Microsoft have released is Internet Explorer 8. And the Internet Explorer 9 is still the beta version and there is no Internet Explorer 10 distributed now, however it is expected to be something like this. This preview only works in Windows 7, and is essentially just a window that will display web pages. To navigate to a page, press Ctrl + O and enter the URL you want.